You are Invited to worship with us and join in all of our prayers and activities as we walk Jesus' Way of Love this holy season. You and those you love are most welcome here. The heart of Holy Week is the Triduum, the great three days of Maundy Tuesday, Good Friday, and Holy Saturday which culminates with the Great Vigil of Easter. These are the three days that changed the world and are at the heart of our faith: Jesus’ suffering, crucifixion, and Resurrection; his victory over death and rising to New Life. This is the Paschal Mystery, the Christian Passover (pesach, in Hebrew), our deliverance from sin and death. 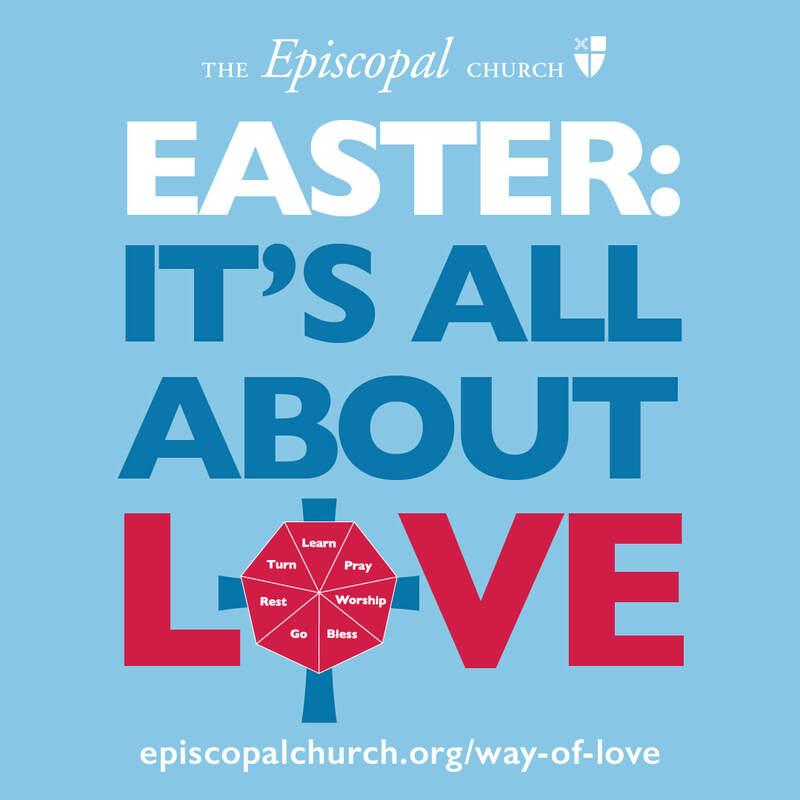 The times and details of our full Holy Week schedule can be found here. Fire, Word, Water, Table - all the symbols that tell the story of our salvation as we celebrate Christ's Resurrection. 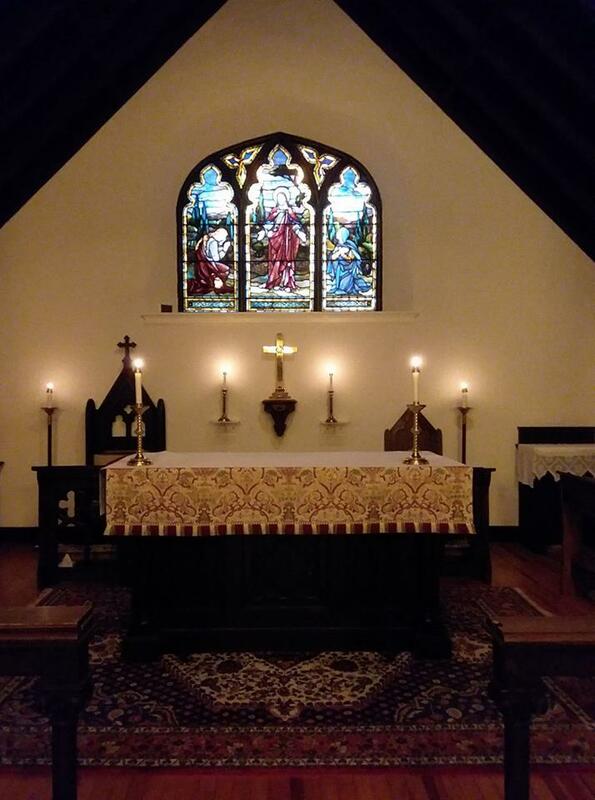 In the Memorial Garden we light the new fire of Christ’s resurrection and process into the Church with the Paschal Candle to hear by candlelight the story of our salvation, our deliverance from sin and death, renew our baptismal vows, and then celebrate the first Eucharist of Easter. Please bring a bell to ring! Followed by the First Party of Easter in the Church Narthex. 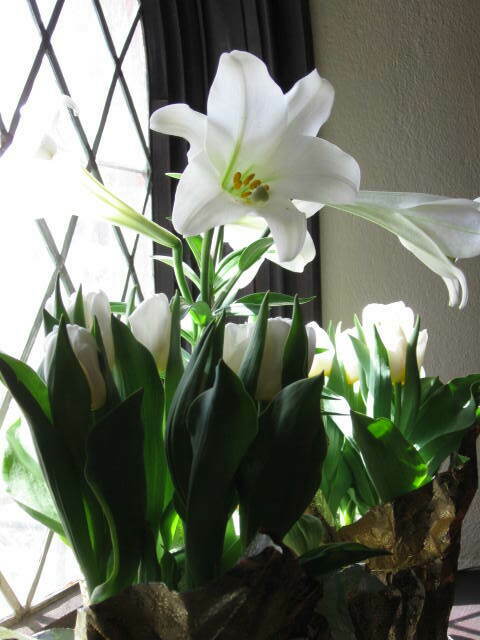 Hymns, flowers, choirs, trumpet, handbells, Eucharist and Resurrection joy at both services! All children will receive a flowering plant. Easter is the most important day in our lives as Christians. Invite someone to Church to share it with you. Come and be renewed in the love of God! Benefit Concert Thank You. A huge thank you to everyone who came out for the concert to benefit the start of our Window Restoration Fund to repair and refurbish our beautiful Resurrection altar window! We are still receiving donations, and grateful for all of them. Make checks payable to All Saints' Church, with 'Altar Window' on the memo line. Twelve Baskets is our confidential church food pantry. For residents of Long Hill Township,Veterans (including residents of the V.A. in Lyons), parishioners and their families who struggle with food scarcity. Click here for more information. ​Musikgarten is a program of Early Childhood Music taught at All Saints by Alison Siener Brown. Classes are available for babies and toddlers (with parents), pre-schoolers, and several levels of beginning piano students. Musikgarten incorporates social, developmental, and musical needs of young children. The program is offered under the auspices of Music in the Somerset Hills. Spring classes are forming now. Information and registration can be found here. Check our our Spiritual Connections page for ideas for prayer, Scripture reading, ways to cultivate awareness of God, practices in the the Way of following Jesus. Baptism is at the heart of our life. We focus on following Jesus. Prayer for all, with all. Boy Scout Troop 56 - part of our parish life. in the Parish House. Eat in or take out. Tickets are $20 adults/$10 kids. Walk-in price is $22/$12. Call 908-647-0067 to purchase. Invite your friends and neighbors for a fun evening! Donations to All Saints' Church can securely be made on PayPal. 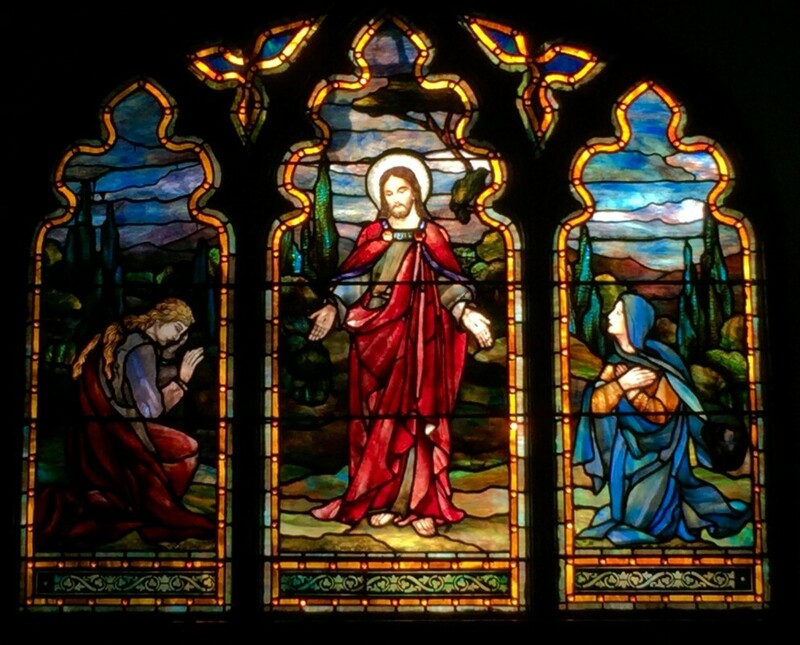 Please indicate, if donating to the Altar Window restoration. The Bible readings for Sundays and feast days may be found here. ​Info on parish life, programs & events. Choir music, nursery care, and Sunday School from September to June. Come for coffee in the Parish House after our later service. September - July:Light breakfast available afterwards. Check our calendar for more details. Check out the Spiritual Connections page for on-line Morning Prayer, Noonday Prayer, Evening Prayer, and Compline. ​a part of the world-wide ﻿Anglican Communion﻿. Our church is open for prayer and reflection most days of the week. The main entrance to our Parish House, facing the parking lot, welcomes activities for the parish, neighbors, & the community. The church sanctuary, both levels of the Parish House, as well as both of the upper level restrooms, are handicap accessible. Easter Day sermon by our rector, Mother Vicki McGrath. Lord Jesus, you call us to work, pray, and give for the good of the Kingdom of God on earth as it is in heaven: assist us with the grace of your Holy Spirit to live your goodness, justice, peace, and love in our lives, in our parish, in our neighborhoods, and in God’s world, so that heaven may become more real in this life. We ask this to God’s glory, and in the strength of your holy Name. Amen.